The Northfield News posted a story tonight at 9 pm that Northfield Police Chief Gary Smith has submitted his resignation in order to take the police chief position in Emporia, Kansas. Nothing’s been posted on his blog as of 11 pm. Was he forced out by the heroin scandal or his health? Neither one, Tony, far as I know. Gary’s been a finalist in a couple of chief job openings, most recently in Lakeville. Given all the bad blood at City Hall right now, I think it’s a positive outcome for everyone. It’ll be interesting to see how quickly the Council moves to replace him… and whether they hire from within or not. Congrats to Gary. Loss for Northfield. Congratulations to Gary, and I certainly wish he , and his family all the very best, after a long hard summer …and fall… etc. Please, Please, Please may we have Mark Murphy for Chief ? He would absolutely be the BEST and even those left over children of the 60’s would have to stop referring to the police as the ____. Everyone likes/loves Mark; the kids really like Mark; he has the capacity to get along with everybody, and he has the detail skills and is not afraid of a managerial job (remember he ran for Sherriff). We couldn’t do better than MARK MURPHY for NORTHFIELD POLICE CHIEF. I think once in a while an old lady should get her way, no questions asked! Q: How can your reduce the amount of crime in the home of the National Teachers Hall of Fame? Well done Emporia, well done. Patience, Kiffi! Today’s Nfld News editorial says: Take the time to pick right chief. Do we want a drug crime expert?… Do we need a community-policing expert?… Do we need an administrative expert? I think we need all that, but I’d add that we need a chief who can build and keep the morale of the police department at a high level. The department’s had high turnover recently and morale has evidently been problematic at times. The morale problem is evident, I think, in Smith’s long blog post that I blogged about back in October. Well, Griff, it’s hard to be patient on this one…Officer Murphy is such a perfect candidate; he’s been on the force for a long time and knows other officers well, and he’s able to manage complex issues between groups (The high school liaison role). And the kids downtown really like him, and think he’s fair, and not just cause he has been a dunk-tank “victim” for the Key at Crazy Daze! I really like his thoughtfulness; you can practically SEE the thought process, ongoing, as you talk to him. He seems to really enjoy interacting with the citizens, when you see him downtown, and he’s really responsive and helpful. What more could you ask for, Angel wings? Are you saying that Chief Gary Smith was not capable of doing all you stated in post# 6? Good question, Lisa. I’ll respond later. In the meantime, today’s Strib has a story on this by reporter Sarah Lamagie: Northfield police chief, on leave, to resign ­. My ‘perfect storm/festering’ comment in the paper refers to both the strained relationship between Smith and Roder, as well as the strained relationship between Mayor Lansing and some staff and some councilors… all of which had been problematic for many months prior to the heroin story. Here we go again… When you state, Griff “strained relationship between Smith and Roder” and “Strained relationship between Mayor Lansing and some city staff… ” (read Roder, my words) what’s the common denominator here? I can’t understand why the criminal investigation filed against the city administrator by the Chief is not weighed more heavily; at the very least, people should be waiting to see what comes of that investigation, which is ongoing. There are multiple strong personalities involved , and I think it is , and has been, very wrong for the council to “choose sides” between two of their employees, Smith and Roder, by paying legal fees for one up front without even knowing what the charges consist of, and making statements such as councilor Davis’s. To be equitable to both of their employees, they should be waiting to see what comes of the situation. Some people, and councilors were very willing to “trash” Chief Smith without knowing all the facts, and very willing to support the city administrator without knowing all the facts. Kiffi, I agree with Griff that we need to be patient. I think we would all be wise to take a page from the prayer ladies and hope (or pray) for a good process and a successful outcome and not start creating new factions by lobbying for individual candidates. This will be the first real chance for this council to work through a major hiring, so we need to let the councilors handle this. Lobbying for individuals this early in the game seems to put everyone in an uncomfortable position. Anyone who isn’t chosen will have to work with the new chief or quit and move elsewhere, so it would be good to keep the process collaborative. And it would be a shame if a new chief became a target of criticism even before he or she had a chance to be sworn in. I am not looking to the prayer ladies for a Police Chief pick; sorry, no offense intended to those sincere souls. I just have the tiniest inkling of concern that their choice would not be mine. I’m not urging IMpatience; I just have a choice based on a history of experience. I feel disappointed when we lose good, even excellent employees because of personal dynamics. I want a Police Chief who is well acquainted with the community, neither a recent nor a new hire… and one who knows the community, has worked well with the school district, and kids, is a definite plus. Lisa, I’m not knowledgeable enough about Chief Smith’s expertise in the areas of drug crime, community-policing, or dept. administration to have an opinion. I’ve been supportive of his belief that Northfield has an unusual problem with heroin. I’ve not been supportive of how the press conference was handled. More to come on the morale issue. A Captain was recently hired for the police force; so the process has been recently done, under Mr. Roder’s administration. I understand there were two interview groups, and there were many diverging opinions among the participants, some of whom were citizens. It would be interesting and helpful if any of those involved could comment on how the process went, how it might be improved, if necessary etc…..
Northfield.org’s Adam Gurno has a blog post today that includes a link to an article and subsequent discussion about Chief Smith in the Emporia Gazette. The commenters argue about morale, among other things. A comment to this Northfield New editorial mentions the department’s turnover problems. Since I’ve not been there, I’m not privy to what is happening since I’ve not been contacted by any member of the department since my departure. I told Dr. Richardson we could not give him the names of undercover agents and drug users. I told him I would have Roger Schroeder call him. I learned later that Captain Schroeder did not call Dr. Richardson back. I asked Captain Schroeder to provide me with a memo outlining the events of the collection of information since it appeared to be an issue. I never received that memo. Several contributors to blogs have mentioned that our line officers weren’t aware of the press conference. This would be correct. Again, for the reasons given previously, one does not release that information ahead of time. My practice has always been to forward that information to our staff, including my prepared comments the next day. In this case, I gave it to my supervisors and asked that they distribute and share it with staff. The city is giving Gary Smith a going away party Monday the 17th at the city hall 2-4:30. I hope all of Gary’s supporter’s will show up, and I’m sure a few phony supporters will as well. It is up to the citizens to keep on our City officials to make sure this mess still gets cleaned up. I am sure many would like to see this fade over time. Good Luck and God Speed to Chief Smith. I just returned from Gary Smith’s reception at city hall and there was a nice gathering and of course he received a Judas kiss. Sheriff Cook, Rice County attorney Paul Beaumaster,Keith Covey, Dixon Bond, and several others came to show their respect & appreciation for Gary’s hard work & service to the community. It was short but sweet. 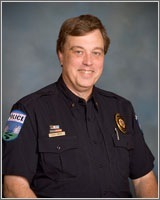 In today’s Northfield News: Chief reflects on 8 years.